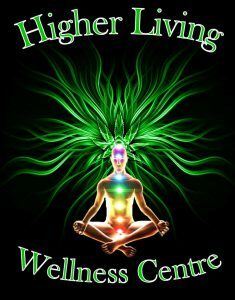 cancer – Higher Living Wellness Centre Inc.
Rona and her husband were wrapping up their 13 year old excavation business when she first got sick. In 2014 doctors found a tumor in her kidney. August 2014 one of her kidneys were removed. She got sick again. She tells me, she was advised that renal cancer is incurable and can resurface anywhere in the body, in the skin, the bones even the brain. It’s unpredictable. This time it showed up in her pancreas. She qualified for the Whipple Procedure . I read that only 15% of people diagnosed with cancer in the pancreas qualify for this procedure, it can only be done in the very beginning stages and is for patients whose tumors are located at the head of the pancreas. It’s essentially a surgical bypass removing the tumor and re sectioning the remaining pancreas. She had this surgery in 2016. Then in November, 2016 they found 3 small clusters of tumors on her pancreas. She has lost about 50% of her pancreas already so they can’t do anything more. Chemotherapy is a last resort. Radiation is not an option because it risks destroying what’s left of her pancreas, which would be fatal. Now she’s in the monitoring stage. The clusters of tumors were about 1.5cm in size, so she begun consuming cannabis oil as a supplement to her prescription medication for her pancreas. She puts the oil into capsules and says she uses an indica- based oil that’s high in THC and contains about 2% CBD. This past August, for the first time since Rona’s ordeal began in 2014, her MRI showed no growth in the size of the cluster. She continued to take the oil. She takes almost a quarter of a gram at night for maintenance. Her last MRI showed the cluster had actually shrunk by 3mm. This was the first time in a year they had changed size at all, and they shrunk. She admits this doesn’t sound like much but reminds me that they were small to begin with. She feels the oil is definitely working. She also tells me this is the best she’s felt physically since 2014. In the meantime, this past summer she noticed a large lump on her chest just below her collarbone and because of the type of cancer she has, they examined and removed it right away in case it was malignant. It was. A few weeks later, it came back again, within a month, it was back to its original size. She couldn’t see the surgeon for a couple of weeks so she treated it topically with cannabis oil. She covered the affected area in oil and bandaged it up for 4 days. She did this twice. By the time she saw the surgeon, there was nothing there. No evidence of a tumor. Her doctor told her that this particular type of skin cancer can come and go, but Rona says “I asked 4 other doctors if this was the case and they said that they had never heard of that happening before.” She had more tests done on the area and was given the all clear. No cancer. She attributes this to the cannabis oil. On the impending Legalization, Rona says “It’s probably going to do more damage than good with all the regulations attached.” She feels cannabis should simply be decriminalized rather than legalized so it’s not against the law to have it, but you don’t need all these criminal restrictions. “It’s a medicine, we definitely need it and at least medical patients should still have access to the (existing) dispensaries. At least medical patients.” She states “It’s a healing medicine and should be treated as such. It can help so many people” She also adds that doctors should be researching it more and that going through all the hassle of trying to get your prescription, renewing it yearly, abiding by the government rules to go with an LP, just to get garbage (sometimes tainted or poor quality) is just sad and needs to change. Rona lives with her husband in Sissiboo Falls in Weymouth, Nova Scotia. If you are using cannabis to treat illness or injury please contact me through Comments or the Contact tab.